In my Saturday morning cooking classes which run about six hours in my backyard in Diamond Bar, California, my students learn how to cook over 20 items from scratch. 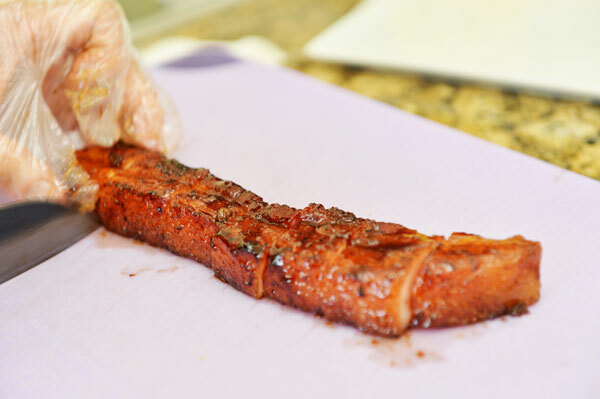 The most popular appetizer muse dish we make is a simple two-ingredient Pork Belly Pig Candy. 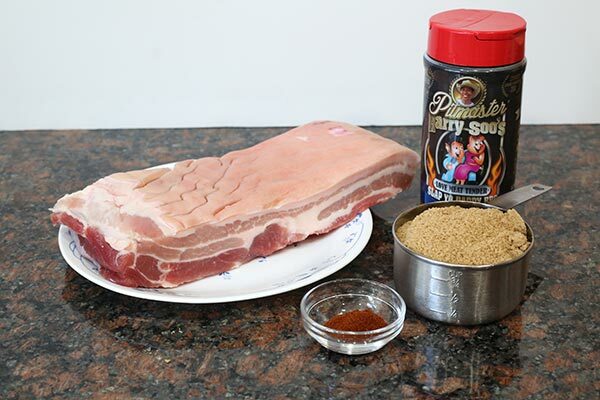 You create a 50-50 mixture of your favorite barbecue rub with brown sugar and smother a slab of pork belly. 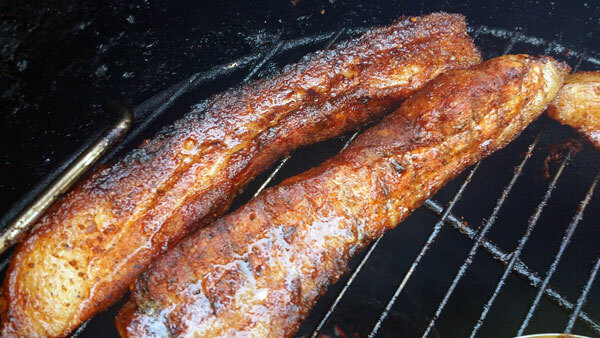 Let it sit and marinate for a bit, overnight is best, and put it on the grill. If you like spicy, which is how I like mine, I douse it with cayenne pepper. 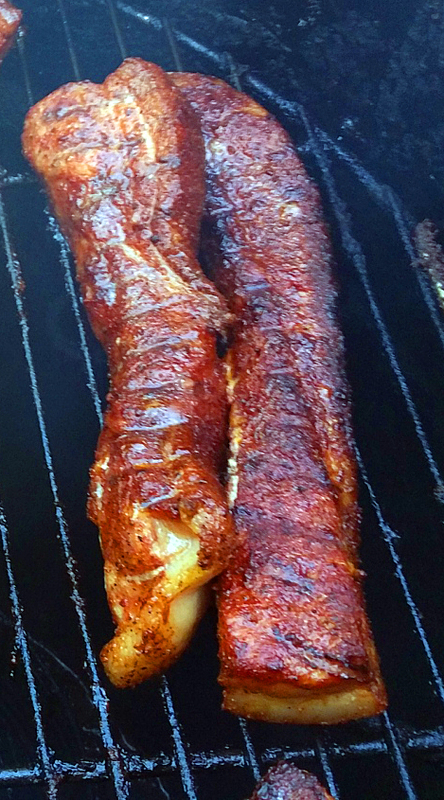 Next time you barbecue, amuse your guest with this super simple appetizer while your main meats are cooking in the pit. Apply a medium coat of SYD All Purpose Rub on all sides. 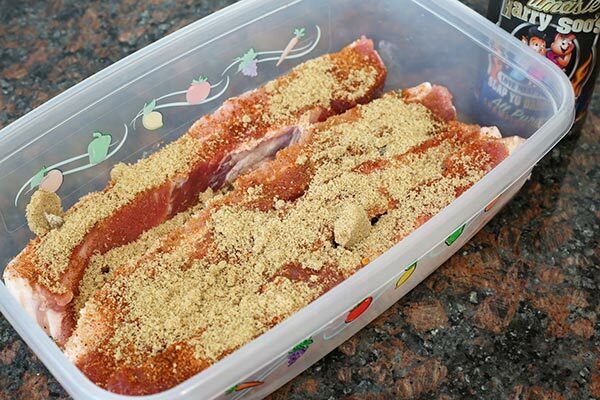 Apply a medium coat of brown sugar. Add cayenne pepper to taste. If you have time, let rest in fridge for an hour, or overnight. If not, don't worry as it still tastes great if you cook right away.